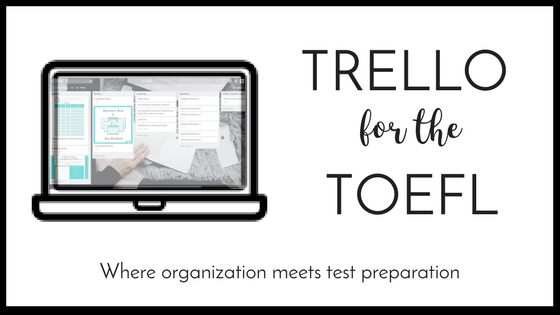 My name is Danielle, and I run Test Obsessed, a website dedicated to helping modern students successfully prepare for the TOEFL and future academic success through smart goal planning, skill building, and technology implementation. The Test Obsessed philosophy centers on learning for good so that you can more quickly get through the test and enjoy learning about what you are truly passionate about. I've worked with hundreds of students as a teacher and as a tutor, and although these students have been very different, almost all of them had something in common: they hate tests. I don't blame them. Tests can be scary. They can be difficult. They can be frustrating and stressful. But they don't have to be. And too often, the preparation that students do for the exam only makes these feelings worse, not better. At Test Obsessed, you'll make test prep part of your normal lifestyle, increasing your prep time, your confidence, and your real-world skills. One of the first classes that I observed as a teacher was a TOEFL prep class. The instructor that I watched simply gave students the answers to the section they had completed for homework, then gave them time to complete the next set of questions, and then just read out the list of answers again. Essentially, the teacher was doing the same exact thing that students could have done themselves by looking up the answers in the back of a test book. The teacher wasn't teaching and the students weren't learning. This is almost always how people try to "teach the test." But isn't there a better way? When I started teaching the TOEFL, I put my analytical mind to good use and I planned every lesson around the essential skills that the test is built upon. I love finding patterns and solving puzzles, and by looking at how the test is built instead of just looking at whether answers were right or wrong, my students started growing real skills that would serve them well come test day. Better yet, these skills would be useful even after the test. A lot of students don't like studying for tests because it seems like a waste of time. By showing students how these skills could actually help them in their everyday university life after the test, students became much more willing to actually learn the material. Cramming for a test feels pointless because you expect to forget the information the second the test is over. Instead, by concentrating on skills, we were learning with a purpose. We were learning for real life, and we were learning for real. Another issue that I frequently saw hold students back was an obsession over scores. Students pick scores arbitrarily (randomly) or unrealistically. Students getting discouraged when their scores didn't improve within a day of practice. Students not appreciating their growth. Students cramming for hours at a time and then being so burnt out they give up. Students studying at times that were all wrong. When all you see is the score, it is difficult to make actual progress. Obsessing over the score is counterproductive. Though you should absolutely track scores, I would encourage all my students to track their skills by following what type of question they were missing. This helped them narrow in on what they really needed to study and see what it is they need to do in order to improve it. During my time teaching the TOEFL full time, I also noticed that too many people are still using old methods of test preparation, leaving behind the technology they already use and love. So many students rely on a test prep book (often selecting the wrong one for what they need) or simply staring at a list of hundreds of vocabulary words for hours without actually retaining any of the information. Though sometimes it is necessary to unplug the technology and use paper and pen, a lot of students immediately association leaving behind technology as a punishment. Technology can often make the tasks you are trying to complete and the skills you are trying to grow easier to achieve because technology is often far more adaptable, engaging, memorable, and efficient. If you think about everything in hashtags and memes, it makes sense to keep your practice digital. I started Test Obsessed because for a while, I truly was. I taught and tutored students preparing for the TOEFL, GRE, SAT, and ACT as a full-time job while I earned my Masters in English from Boston College. The combination of working long hours and my passion for helping students meant for years I would eat, sleep, and breathe standardized tests. Though I don't think anyone else is going to become quite as interested what goes into these tests as I was, I want to see more students change their attitude towards these exams by preparing in meaningful ways and realizing that this is an amazing learning opportunity. And that is what I was truly excited about bringing to my students. Obsessing over the right things, like the long-term outcomes, is how to make the most out of test prep and score more. Want to know more about things I love that aren't tests? Then it is time to get personal! Sign up for the newsletter. When you do, you will get free TOEFL tips and my own answers to some independent speaking questions. You might just learn a little bit more about the TOEFL-- and about me. I WANT TOEFL TIPS! SIGN ME UP!